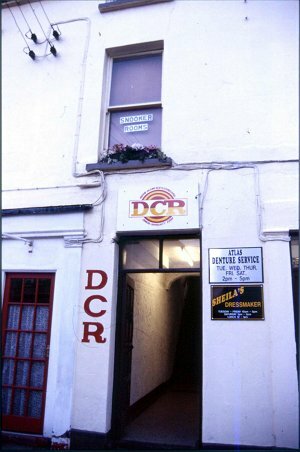 DCR used to be heard on 945kHz, and was a regular in the UK. 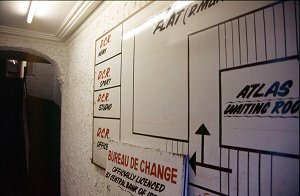 The AUK Weekly report for 23rd November 1986 reports a frequency change from 927 to 945. The report on 12th October 1986 reported DCR had sorted out some technical trouble they had after their launch, with frequent breaks, and were well heard after Belgium's BRT signed off for the night on 927kHz. In the UK, the FM was also heard from time to time. There is not too much other data on the station. A few photos are given below, courtesy of Steve West and his travels. 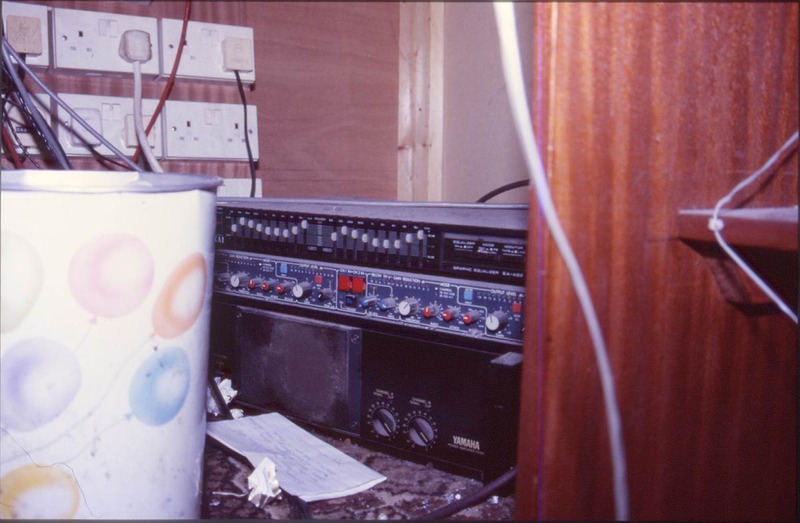 It is unknown though assumed not, if this station had any connection what so ever with another station of the same name that was heard on 1410kHz in 1980. Details are very vague of this early station in County Donegal, though it was thought to be from Donegal Town area. 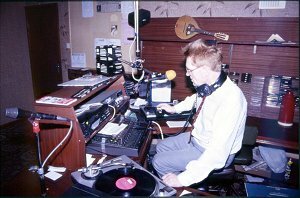 There was a test transmission heard one evening in Scotland on 1615kHz, in mid summer 1980. Sadly no full ID is available as the recorder wasn't running at that time. 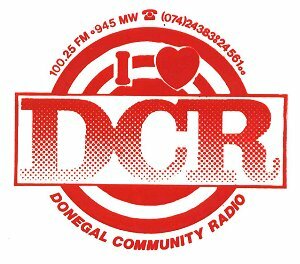 For the earlier DCR, see link below. 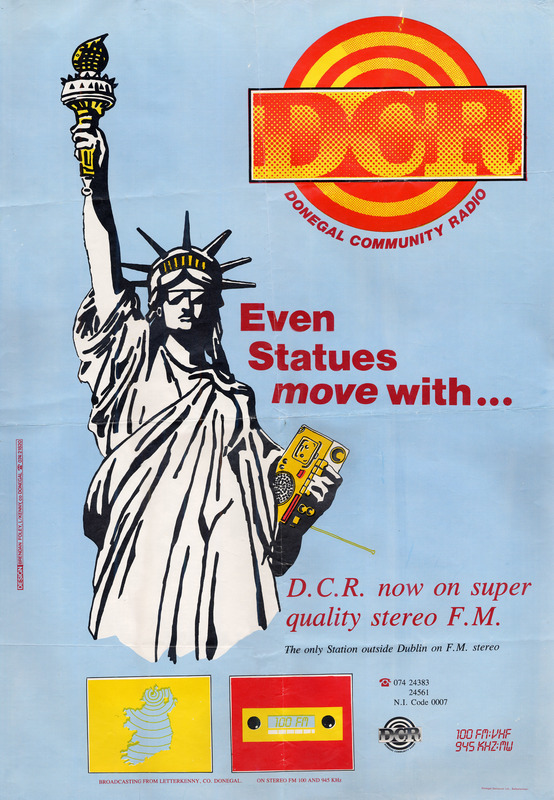 A DCR poster sent to Ian B.
DCR sticker on the left, and on the right, a poster sent out to Ian B in Scotland. The design work is by Brendan Foley of Letterkenny. This is the same name on the North West Community Radio poster, seen on the NWCR pages. Initially the poster was on line here without the bottom half!! Apologies for that, it went un-noticed till June 2012. There is a strange claim at the bottom of the poster. 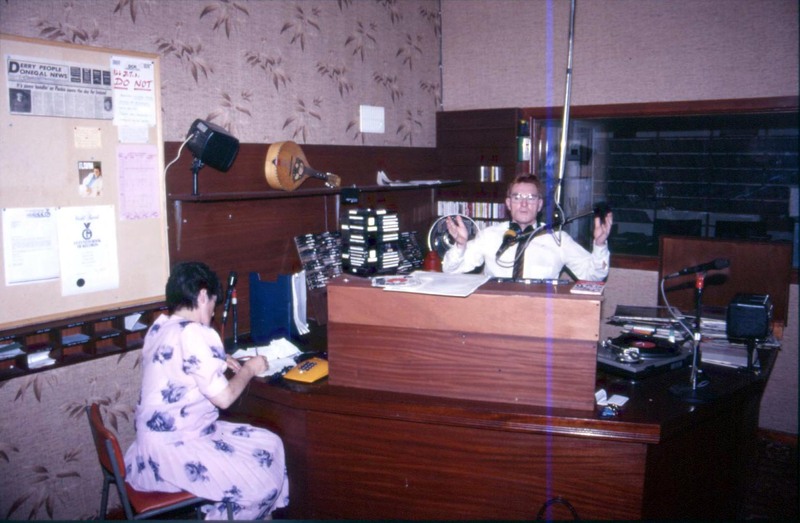 "The only station outside Dublin on FM Stereo. Well maybe many of the country stations were mono, but what about Cork and Waterford, especially ABC?? Click on the poster to see higher res version, or the link below for a full sized version. 1988 photos of DCR taken by Steve West on his travels around Ireland. The presenter on air is Mickey Bradley, who was also on North Atlantic Radio in 1992 during a visit.